'I write this sitting in the kitchen sink'. I write this sitting in the kitchen sink. 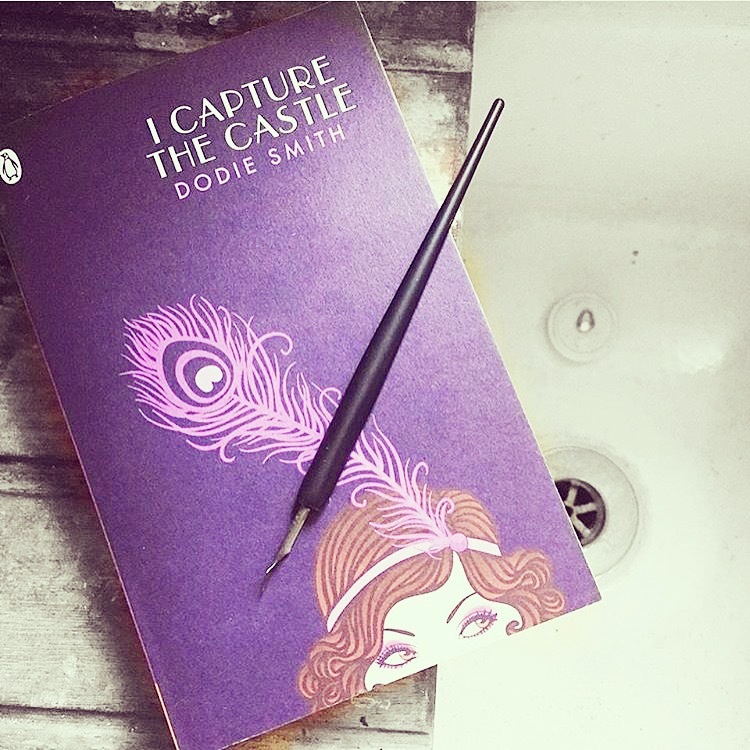 So begins Dodie Smith's 1948 novel, I Capture the Castle. Cassandra Mortmain is the books narrator, seventeen years old and stuck between childhood and becoming an adult. Cassandra lives in the remains of an old medieval castle with her eccentric family; her beautiful older sister Rose, who is like something out of a Jane Austen novel, and desperately waiting for some rich heir to rescue her from the family's dire financial situation; their father, a once radical novelist who was briefly imprisoned for attacking his first wife with a cake knife, and who now suffers from severe writers' block; his second wife, Topaz, who is an artist's model and likes to be one with nature and dance around the nearby fields naked. So yes, quite eccentric. The story revolves around the lives of the Mortmain family and rapidly picks up when two American brothers, Simon and Neil Cotton (who, I may add, are extremely rich) move in to the castle next door. Without spoiling it for you, the book then spirals into a world of adventures and events - some hilarious, some sad - but nonetheless, very enjoyable to read. Best known as the author of The One Hundred and One Dalmations, Dodie Smith wrote this charming and funny novel in 1948. However, this book has a modern feel to it and does not show its age at all. The plot might also come across quite quaint and predictable but it's not, the story didn't end the way I thought it would. I would definitely recommend this read - it is an excellent novel that has been incredibly well-written, it has been vividly imagined and is jam-packed with fascinating characters. Have you read this book before? Is it one of your favourites? I haven't read this book, sounds like a good one. TFS!